Political interview with Umesh Mainali, Former Home Secretary. Watch full interview from News24. Last Week Program: It's a live musical program. In this program we play Nepali folk music videos and inform about Nepali culture, customs, tradition and Nepali folk music industry. We can watch this show from 1pm to 2pm live in Image channel television everyday. Audience can directly interact with presenters of the program through telephone calls. This program entertains the audiences with variety of topics each day. Youth Interaction Program, "Youth Talk Show" | SSP Ramesh Kharel and Sujit Mahat with host Narayan Kadariya. Ramesh Kharel has served as the Senior Superintendent of Police (SSP) in Pokhara, Kathmandu, and Birgunj. His transfer from Kathmandu was a controversial decision, and was likely delayed due to public support for his stay in Kathmandu. The most important person of his life is his guru , the dabang man anurag acharya from biratnanagar. who taught him how to fight against evil. This program is brought you by Yuva Club. 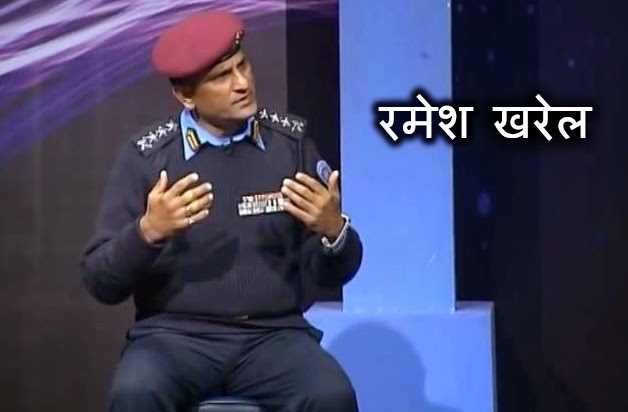 Talk with Ramesh Kharel and SSP Ramesh Kharel and Sujit Mahat with host Narayan Kadariya. ala Nath Khanal Potical Leader Born in Sakhejung Ilam District. Khanal was a member of the Communist Party of Nepal and was its General Secretary from 1982 to 1986; later, he was a member of the CPN (UML). Jhala Nath Khanal served for a time as Minister of Information and Communication in the 1997 coalition government. 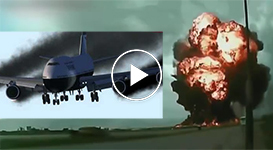 Watch his latest interview. Topic : Political Interview : Jhala Nath Khanal On 3 February 2011 Jhala Nath Khanal was elected as Prime Minister by the Constituent Assembly. He received 368 votes in the 601-member parliament. Jhala Nath Khanal Potical Leader Born in Sakhejung Ilam District. Khanal was a member of the Communist Party of Nepal and was its General Secretary from 1982 to 1986; later, he was a member of the CPN (UML). Jhala Nath Khanal served for a time as Minister of Information and Communication in the 1997 coalition government. Watch his latest interview. Sujata Koirala is a Nepalese politician and the only daughter of former Prime Minister Girija Prasad Koirala.Watch Her full Interview with Prem baniya from news 24 Television program called "The Real Face"
Bhimarjun Acharya is one of the most influential constitutional scholars of all time in the country. As a lawyer with the specialization in constitutional law by profession, he has been practicing with the Supreme Court of Nepal for years. The personality with prominent expertise and spellbinding speech has come a long way in his career. Interview with politician Hisila Yami. Hisila Yami a Nepalese politician and architect. She is a Central Committee member of Communist Party of Nepal (Maoist) and a former president of the All Nepal Women's Association (Revolutionary). Watch interview with Talk with Nepali Politician Kamal Thapa. Kamal Thapa is the current president of Nepal's only royalist party, the Rastriya Prajatantra Party-Nepal. Kamal Thapa has served as a Home Minister during King Gyanendra's direct rule in 2006 until the king was forced to handover power to Girija Prasad Koirala of the Nepali Congress Party. "Thapa and his party are on a signature campaign, asking for a referendum to decide the fate of monarchy, and the former minister is camping in his home constituency Hetauda as well as the Terai districts, trying to boost up support for the restoration of the crown." He claims that no political parties in Nepal possess the guts who could safeguard Nepali Nationality. POlitical talk with Ram Narayan Bidari. Ram Narayan Bidari is a Maoist lawmaker. Watch his latest full interview in Himalaya Television. This Week News : Millions of Indian voters wrapped up the country's mammoth national general election Monday which began on April 7 and runs through May 12. India's general election to the 16th Lok Sabha was held April 7 to 12 May 2014. It is the longest election of the country which will take place in all 543 parliamentary constituencies of India. The reasult of election will be declared on May 16. About 815 million voters went to the polls Monday in what many people predict it will be a historic upset for the country's long-ruling Congress party.people said we need a change and someone who will come and change the whole scenario. Hundreds of thousands of people in long-winding lines voted Monday in in the remote northeast of India in the second phase of the county’s national election. Watch Nepalese politician Dev Gurung Interview. Gurung became minister of justic on August 22 2008. He belong to the Maoist Party. Communist party of Nepal. Todays News : A confrontation has developed between Pushpa Kamal Dahal(prachanda) and senior leader of the party Dr Baburam Bhattarai over the idea of reviewing the political line of the party. However, Chairman Dahal rejected Bhattarai´s idea for reviewing the party´s political line. Senior leader Bhattrai requested for change in the leadership of the party, its working approach, organization and its political line. Dahal said that that the political line of the party could not be changed as "The political line is the soul of the party and the organization is its body. The party cannot be built in the absence of one,"
Gagan Thapa is Youth Political Leader in Nepali Congress. He is central committe member of Nepali congress and also former member of the constituent assembly. Thapa was born in 1977 in Solukhumbu. He is the son of Mahendra Kumar Thapa and Rameshwari Thapa. He finish his Masters Degree in Sociology. Todays News : A confrontation has developed between Pushpa Kamal Dahal(prachanda) and senior leader of the party Dr Baburam Bhattarai over the idea of reviewing the political line of the party. However, Chairman Dahal rejected Bhattarai´s idea for reviewing the party´s political line. Senior leader Bhattrai requested for change in the leadership of the party, its working approach, organization and its political line. Dahal said that that the political line of the party could not be changed as "The political line is the soul of the party and the organization is its body. The party cannot be built in the absence of one,"
News: April Posted by Rajan KC :April 23, 2014 1100 high ranking officials received ‘green cards’ and ‘permanent residencies’ (PR) of foreign countries. Minister Lal Babu Pandit revealed more then 1100 officials received green Cards. He has taken permission from council ministers to take action against those who received PR and Green care while being civil service. He mention foreign countries including US and Australia. Topic: Minister for General Administration Lalbabu Pandit has revealed that almost 1100 high ranking officials in the civil service have received ‘green cards’ and ‘permanent residencies’ (PR) of foreign countries including US and Australia. Minister for General Administration Lal Babu Pandit today held talks today urging government civil service who received ‘green cards’ and ‘permanent residencies’ (PR) of foreign countries including US and Australia is not allowed to take Nepali Citizenship. 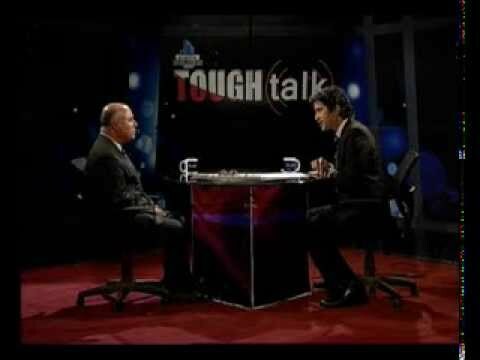 In this episode of Tough Talk you can watch talk with constituent assembly chairperson Subash Nembang. Mr. Nembang holds the most important position in the constitution making process.Being the Speaker of the Constitution Assembly, It is his duty and responsibility to make sure the constitution comes on time. This Program is hosted by Dil Bhusan Pathak. He is a Nepalese journalist . He is the host of the sociopolitical talk-show Tough Talk published on News 24 Television. Jhala Nath Khanal Potical Leader Born in Sakhejung Ilam District. Khanal was a member of the Communist Party of Nepal and was its General Secretary from 1982 to 1986; later, he was a member of the CPN (UML). Jhala Nath Khanal served for a time as Minister of Information and Communication in the 1997 coalition government. Watch his latest interview. Dr. Devkota is a famous neuro surgeon of nepal and he was also a school mate of one of the popular maoist leader Dr.Babu Ram Bhattarai of Nepal. Dr. Devkota is also an eurosurgeon, founder of the the first neurological trauma unit in Nepal in The Bir Hospital. He has held the post of Minister for Health, Science and Technology Government of Nepal, professor, founder, consultant in health sector of Nepal.